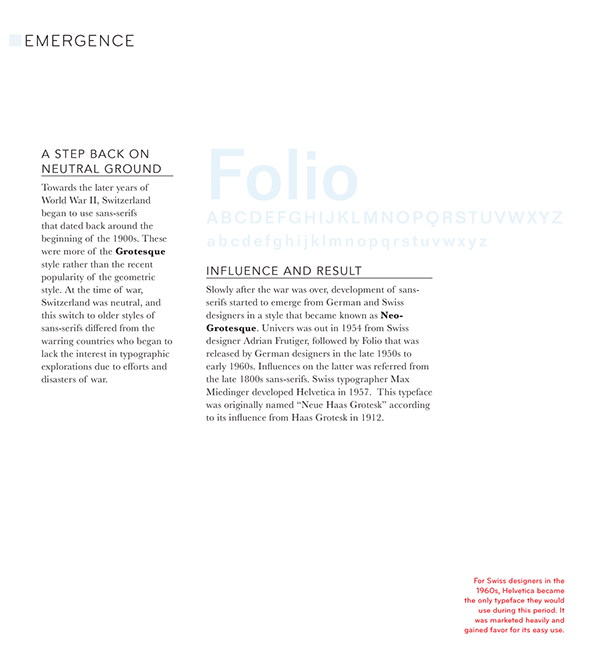 I worked with Joanne Lee and Claire Moore to design a booklet about the history of sans-serif typefaces. My spreads focused on the growing popularity of sans-serifs in the early to mid 1900s with the text cited from multiple web sources. 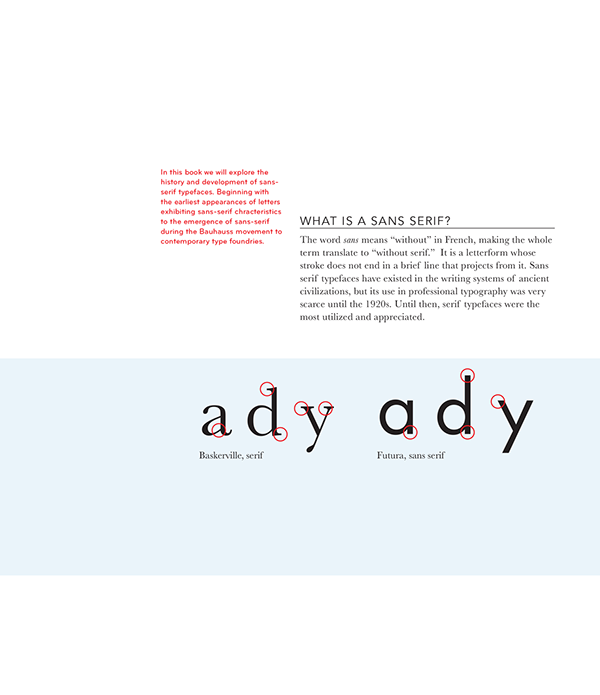 "Serif vs. Sans Serif Typeface." New England Reprographics. N.p., n.d. Web. 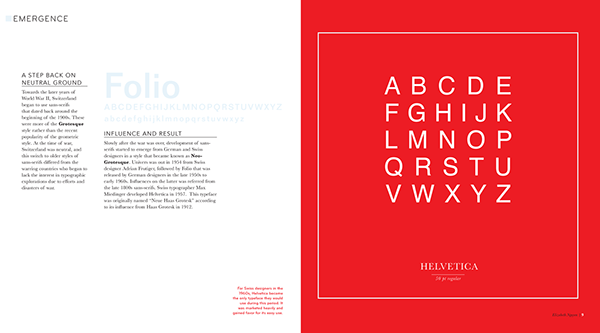 <http://newenglandrepro.com/serif-vs-sans-serif-typeface/>. Alessio, Joseph. 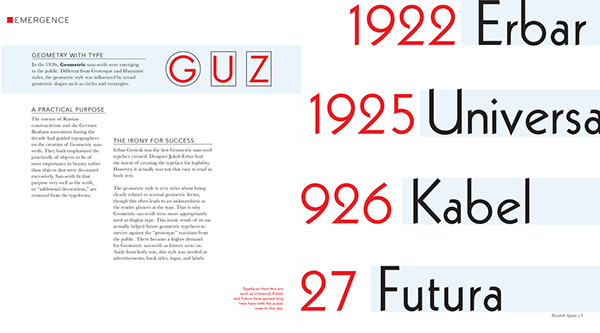 "Making Sense Of Type Classification (Part 2) – Smashing Magazine." Smashing Magazine. N.p., 19 June 2013. Web. <https://www.smashingmagazine.com/2013/06/making-sense-of-type-classification-part-2/>. 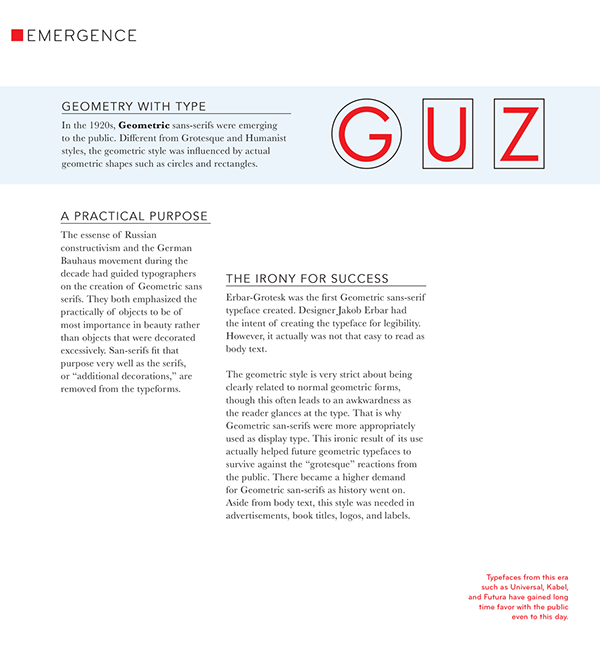 The page layout on the right (red) was formatted by Claire Moore. 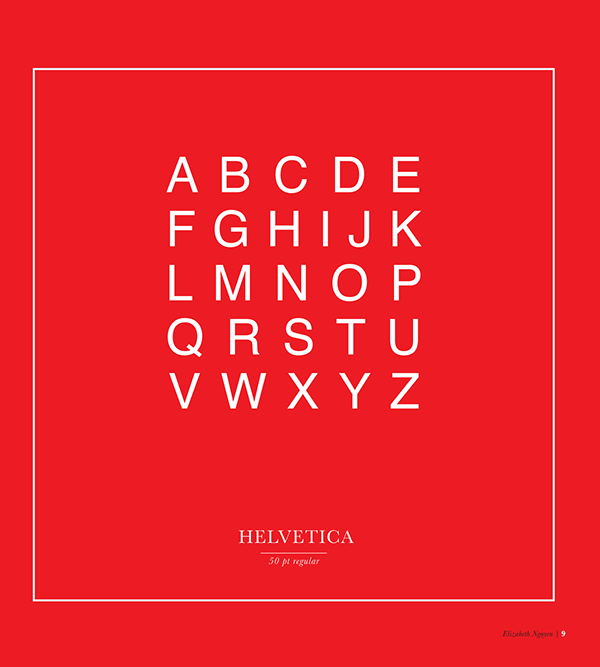 "The Sans Serif." Graphic Design History. N.p., n.d. Web. 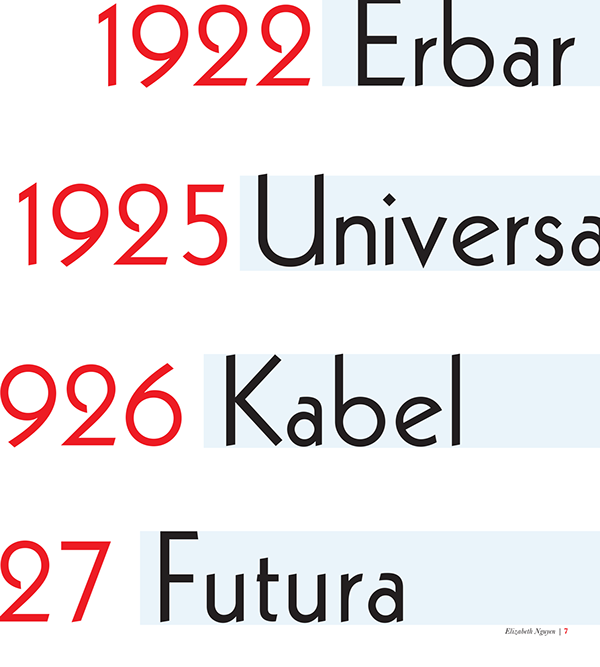 <http://www.designhistory.org/Type_milestones_pages/SansSerif.html>.